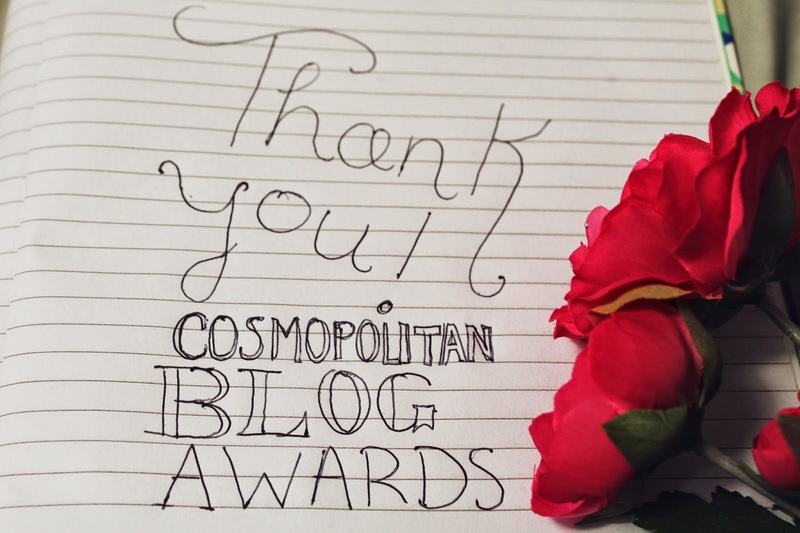 Cosmopolitan Blog Awards 2014- Thank you! If you don't follow me on Twitter or 'like' my Facebook page, you could be forgiven for missing me announce the fact that I was shortlisted for the Cosmopolitan Blog Awards 2014 in two categories. I'm overwhelmed, incredulous and so thankful. To anyone and everyone who nominate both my blog and my youtube channel, I thank you. I work hard on my little corner of the internet and its so lovely to receive recognition against countless of other incredible blogs! If you'd like to vote for me, you can vote for my blog 'The Camera's Lying' in the 'Best Established Fashion Blog' category and my youtube channel 'The Camera Lies Beauty' in 'Best Vlog.' If you'd like to vote you can do so here. Once again, I thank you and want you to know that your continued support means more to me than you'll ever know.